V. 2807 - delightful villa in popular bay villas community. Freshly painted, new wood flooring and new ss appliances. Tile floors, plantation shutters, vaulted ceiling and sun room allows for natural light to shine through. Enjoy the southern sunny exposure in your own pool surrounded by a privacy wall and landscaping. Located near popular mercato, waterside shops and artis center. Enjoy the best in fine dining, shopping and entertainment. Great location and close to all the wonderful amenities pelican bay has to offer, tennis, golf/social memberships, private beaches, 2 private restaurants and bar right on the gulf. Start enjoying life in paradise! H. 14277 -boaters paradise with access via vanderbilt lagoon to the gulf of mexico. Bike to naples beaches to unwind in the beautiful sunshine or watch for dolphins. Minutes to mercatos night life and restaurants. Or, maybe just sit out back and watch a gorgeous sunset, night after night. This 3 bedrooms + den, 2 full baths, 2 car attached garage 1,979 square feet home situated on a lot with 80 feet of seawall complemented with a 400 square feet dock that includes a 10,000 lbs. 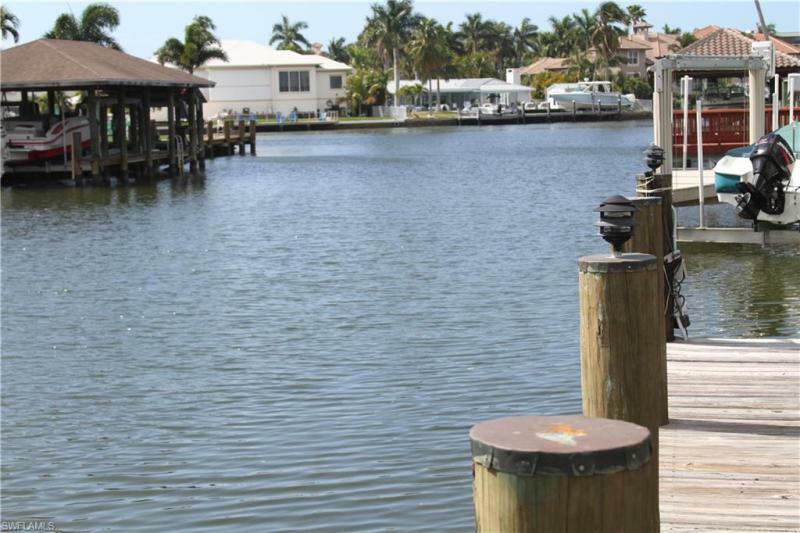 Boat lift offers so many owner options: move in & enjoy all that naples has to offer; use as investment property since this home has had the same annual tenant for multiple years; or build your dream custom home on this perfect southern exposure waterfront property. Must see this wonderfully updated 3/2 single family home with a boat dock & lift priced under 1 million! Brand new ac and 2012 roof. Conveniently located in the conners on vanderbilt beach. This is a gulf access home with no hoa fees! Very close to the beach, mercato and so much more. Best priced updated home available in the in the conners. Call today to schedule a private viewing. Don't wait, this home will not last long! Your boat in your back yard and close to shopping and dining, what could be better? Four bedrooms and two baths, newer kitchen with granite and stainless appliances, newer baths, heated pool, boat dock with lift and tiled floors through out. Great income potential as weekly or monthly rental, or enjoy for yourself and your family. Renters in place through season for instant income. Memberships at tarpon cove club are available. This 3 bedroom villa is in pristine condition and features a gorgeous, new gourmet kitchen with glass tile backsplash, all new appliances, high-end granite, porcelain tile floors, etc. Screened porch overlooks pond and lighted fountain. Another walled courtyard off the master and bedroom 3. Theres a peaceful serenity in this villa. Laundry room has new under counter washer and dryer and a granite sink. Even the garage is beautifully maintained with a newly painted floor. Hurricane protection throughout. Some high impact glass, some electric hurricane shutters and some manual hurricane shutters. Exterior just painted throughout. Enjoy pelican bay living at its best. Inspired by the style of frank lloyd wright, interlachen is a well-maintained community with attractive water features, landscaping and new entry fountain. New swimming pool and decks, new bridge, new landscaping throughout the property. New irrigation system in courtyards. Walk across the street to walk or bike on the berm; ride the tram to one of pelican bays two beach club restaurants; walk to one of the two tennis centers or the full-service fitness center. Spacious, convenient living in north naples. Vanderbilt beach, shopping and restaurants very nearby. Bike to the beach, or swim in the heated pool with west exposure, while watching stunning sunsets over the only lake in naples park. The entire first floor of this custom home is at one elevation, with no steps, and includes two master suites, as well as a mother-in-law suite with private entrance. Work from home in the two room office suite complete with solid wood library shelves and cabinetry. All pgt hurricane resistant doors and windows except 10' sliders which have electric shutters. Tour the home today. It's all about location with this home! This home has no shortage of space. A 2nd story addition with elevator was built in 2001. It boasts 5 bedrooms plus a den and 4 1/2 bathrooms! This home has a unique layout with first floor having a second kitchenette. The first floor was used more for guests to have there own space with the main residence residing on the 2nd floor. Roof is brand new and the 2 hvac units just 2 years old. The home sits on a corner lot in the highly desirable north naples area, just minutes from the beach, the ritz carlton, la playa beach and golf resort, the lighthouse, mercato shops and restaurants, the pelican bay shopping center and the pavilion shops. You are surrounded by everything you may need and want by just walking right outside your door. Enjoy amazing naples gulf sunsets, sitting on one of your two spacious open lanai areas, elevated to see the water and the sun setting. Landscaping and pavers has been disrupted due to road and drainage work the county has been doing in the area. Will be fixed and restored. The home is priced with the understanding there is updating that would need to be done. H. 14027 - beach & boating! Sparkling water views! Best priced 3/3 gulf access home in all of vanderbilt connors! Three bedrooms and three full bathrooms with total of 2156 sq ft, including double car garage. Oversized tile throughout. Floor plan boast a living room plus separate family room with water views. Spacious kitchen with breakfast bar and pass through to expansive screened lanai, perfect for entertaining! Multiple sliding glass doors allow for abundance of water views and natural light to flow in! You also have access to the lanai from master and guest room. Exceptionally convenient to the ritz and private spa, private beach club at la playa, mercato, and a plethora of fine dining, shopping & more. Bike to the beach! The ultimate in boating from your own backyard!